ATTENTION: CONCESSION WORKERS NEEDED FOR SPRING SPORTS! Your help is needed and is greatly appreciated. Use the Spring Sign Up Genius website to sign up today! Please contact Lisa Schill with questions at 920-960-2873. Please join us!! We welcome new members!! New Cougar Clothing items are available for sale. Please visit the Cougar Clothing Closet during any home game at the High School. Thank you for supporting the Campbellsport Cougar Booster Club! For clothing questions, please contact Lisa Ferguson at 920-933-0354 or ferguson05family@gmail.com or Amy Lackas at 920-979-9529. The Booster Club hosts the Cougar Closet in the high school commons. 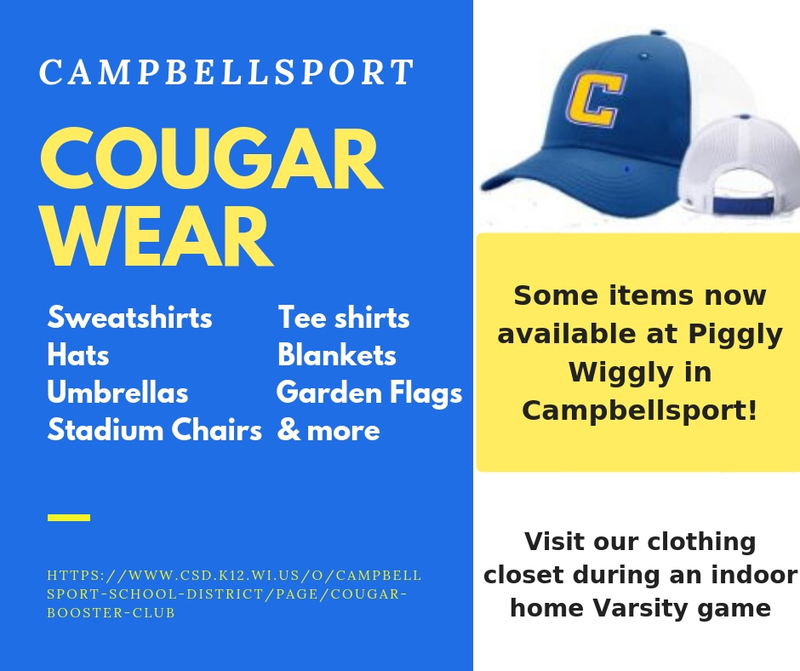 The Cougar Closet has a variety of spirit items available in stock including T-shirts, sweatshirts, hats, jackets, blankets, travel mugs, umbrellas and more! Check it out! 2018-2019 Cougar Cards will be available for sale soon for $10 per card. Cougar Cards provide discounts to over 30 area businesses. 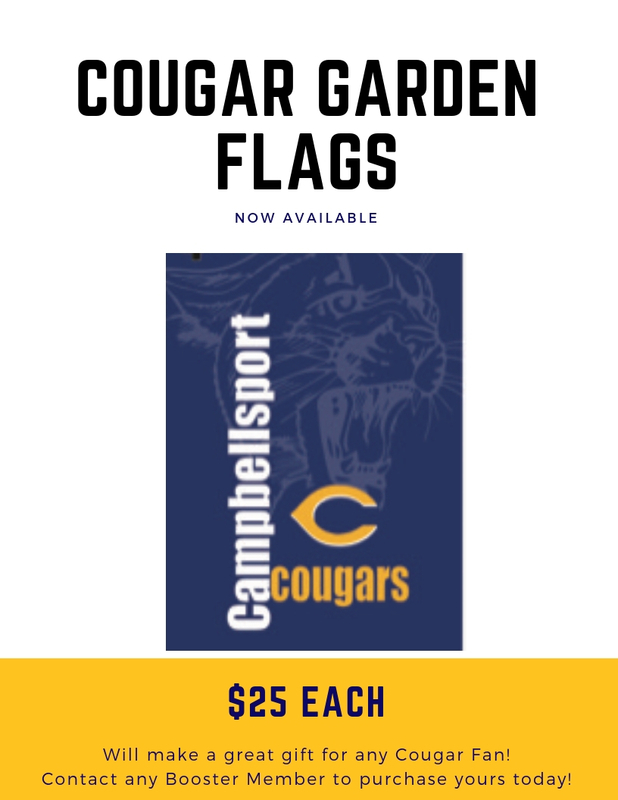 To purchase a Cougar Card, visit a concession stand during any home game or contact a Booster Member. Thank You to our sponsors and local businesses for supporting the Cougar Golf Outing!